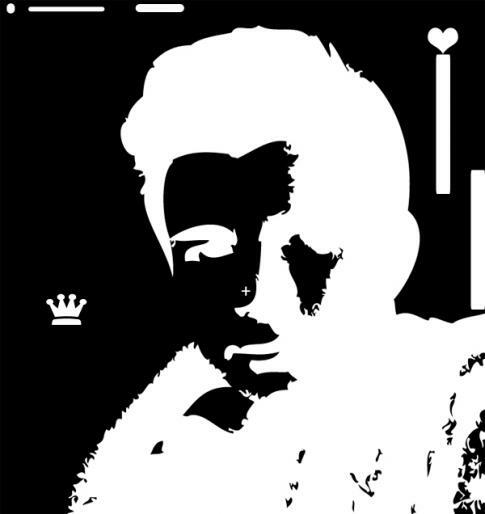 This afterimage is based on one one of the most recent internet trends "rickrolling" in which a link to another web site or video directs instead of Rick Astley's 1987 "Never Gonna Give You Up" music video on Youtube. To see this image stare at the cross in the center for about 30 seconds and then look away at a blank surface - blinking repeatedly can help to make it easier to see. 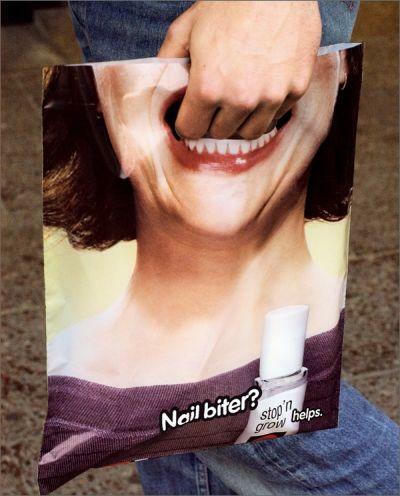 Here's a novel way to promote a product, this carrier bag for something called "Stop 'n Grow" presumably designed to stop compulsive nail-biting has its handles positioned so that it looks as though the hand of the person carrying it is inside the mouth of the woman on the side of the bag. Its an original idea and a nice way to get attention to what you are advertising. Introducing the launch of our new Youtube channel this first video shows the Red Cross earthquake billboard illusion we featured recently. 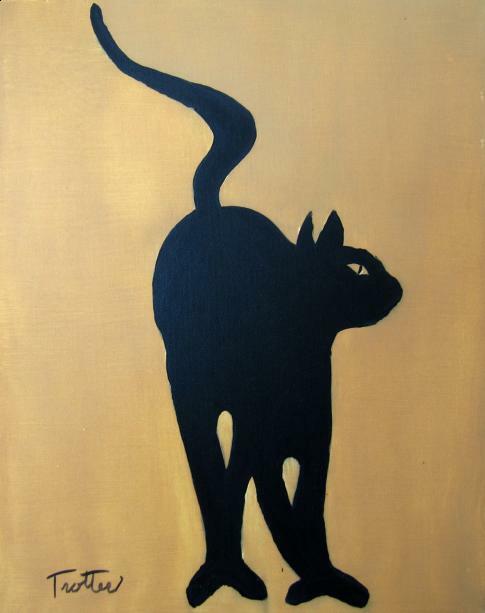 We'll be posting up a number of videos covering optical illusions from the site so keep a look out for those and please subscribe to our channel if you haven't done so already. 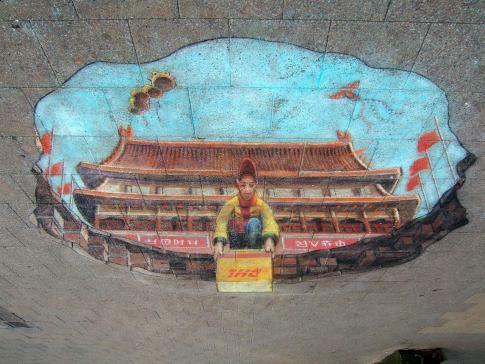 This is another view of the promotional DHL pavement chalk drawing from Julian Beever - this time shown upside-down. The delivery appears to be getting dropped down from the ceiling and looks even more impressive seen this way up.